The Internet of Things will not be matched by an explosion in network bandwidth. This means that the data produced by those “Things” will need to be processed on-site, or in cloud locations that can perform the processing while reducing the need to move the data between storage and the servers. he system have important reliability advantages, and sometimes because users are slow to abandon something that already works. Price is a major inhibitor to change, especially when the older system is offered for a lower price and the benefits of the newer design are hard to assign a dollar value to. This is similar to the challenge of using TCO models when deciding whether to replace HDDs with SSDs. It has potential benefits in terms of data mining applications. 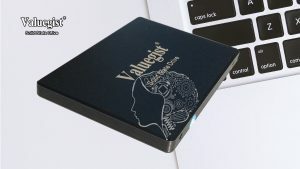 With intelligent SSDs, a large volume of data can be directly processed by CPU and DRAM inside intelligent SSDs, and the final result of a very small size needs to be transferred to the host CPU instead of all the data stored in intelligent SSDs.